My time at Chegg is coming to a close at 5PM today. is how much money we helped students and their families save… and 2014 has been just as good and it is not even over yet. As you can see I don’t take my time at Chegg for granted. It was a true privilege to work here. I am very thankful for the wonderful time I had as a Cheggster, for all that I learned and for the wonderful opportunities Chegg provided for me. I am very thankful for the enormous talent I found in our team. I will miss working with our design, product and engineering teams. I will also miss laughing and hanging out with the many friends I have made here. You are a class act bunch Chegg. 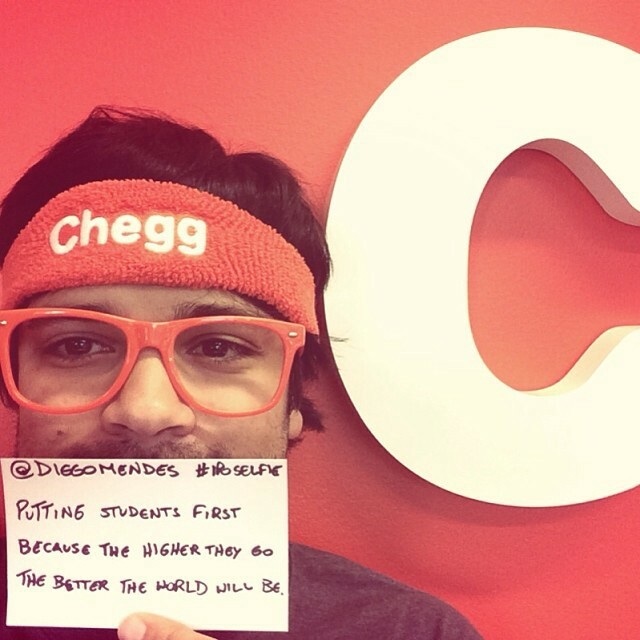 I love Chegg, our mission and our users (students). That will never change. Thank you so much Chegg. I am confident you will continue to do amazing things for students in the future, just as you have in the past and present.